We work with any size of business, whether a small local business that may need to improve their Yelp reviews or large corporation that has negative feedback on dozens of sites. We also can remove negative information from news sites, forums, blogs, mugshot and arrest sites. Using proprietary techniques we are able to remove negative listings from Google and other engines. In some cases we may even be able to remove the complete negative listing from the offending site. Our proactive reputation management program will protect your brand from future attacks. We also offer reputation monitoring services. We will use several monitoring software that searches on online websites and social media sites for mention of your brand. The report is then analyzed by one of our staff member daily for any negative information. If we find any negative information, it will be reported to you. *Our 100% money back guarantee is on a case-by-case basis. 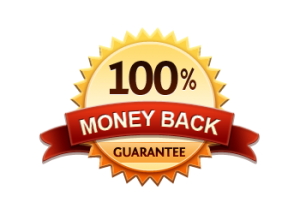 After your initial consultation, we would tell you if you qualify for our 100% money back guarantee removal service.